…no matter where you started your career. Take Erik Emanuelli, for example. Through hard work and perseverance, he was able to build multiple websites on top of his blogging duties and establish himself as a thought leaders in the field of digital marketing. I caught up with Erik for a quick chat about his experiences from starting out with blogging and getting to where he is now. What was the moment that made you decide to become a professional blogger? Before you started blogging, what were you doing as a professional? How was the transition from being an Export Manager to a full-fledged blogger as part of your goal to attaining financial freedom? What was the biggest obstacle that you had to overcome as a beginner blogger? 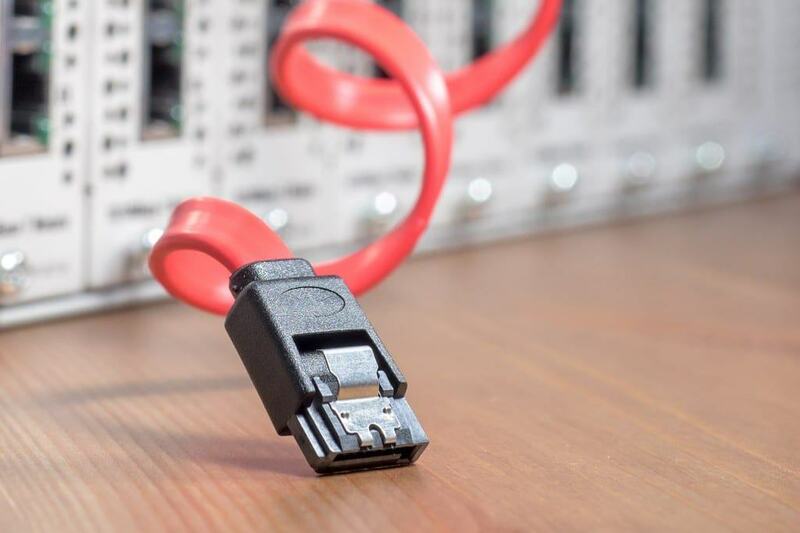 How important is it for bloggers to take time and learn the “technical stuff?” Would you advise bloggers to use a dedicated server, along with other technical details, for their sites? Any horror client stories you’d like to share with us and how you dealt with the situation? What then is the most difficult obstacle that you had to overcome on your way to becoming a full-time blogger? Which blog post you have written that you feel the proudest? Who among your blogging peers do you consider the best and why? What do you think separates yourself from other good bloggers out there? List down the blogging tools that you use and explain why people should use them for their own blogs. How “successful” would you consider your blog? What do you think are the upcoming blogging trends people need to watch out for? If there’s any one advice that you would say to a starting blogger, what would it be? I started blogging part-time back in 2010 when I was still working as Export Manager for an Italian company. Due to world economic crisis (and a strong competition from China), the business has suffered much and I had the necessity to find an alternative way to build an income (I want to mention that my dream were always to becoming self-employed, finally reaching the economic freedom). I simply browsed on Google “how to make money online” and everything started from there. I created my first website with Blogger and soon migrated to a self-hosted domain with WordPress. I then kept building niche blogs, so to increase the assets in my portfolio. Since more than 2 years, I work online full time, getting a steady income which is increasing month after month. I did many jobs, but my first important position was in the banking field. First as a clerk, then as a financial advisor. 5 years later, a company, client of the bank, offered me a position as Export Manager. That was awesome, as I could finally use my language skills, while travelling around the world! I learned a lot about business during the 9 years in this position. I visited, both for pleasure and work, more than 30 countries (I needed to visit Spain every other month, for example). But reaching the economic freedom was always one of my primary goals. And I knew that only by becoming self-employed I’d have the chance to reach certain levels of income. I have to thank all my bosses, for all the business principles they taught me. As well, during all those years as employee, I learned the time management and working hard for the achievement of the objectives. I invested many hours weekly, during my full time job as Export Manager, to improve my blogging knowledge and everything I needed to know to “survive online”. I built many connections, both friends and business contacts, I created several websites and tested different monetization methods, I explored new topics and learned many things. I’m very pragmatic, so the transition from being an employee to a full-fledged blogger happened exactly when I was able to produce more income online compared to when I was working as Export Manager. Simple as that. It took me a while to understand how to self-host a website and all the options I have in cPanel (I still need to study them all). I’ve now a dedicated server, all for my sites. I really enjoy the speed and the lack of problems, in relation to when I was on shared server, experiencing continuos delays and suspensions of account, for using too many resources. When you meet new people online, or you simply visit their websites, you’ll get an idea (which in most cases is correct), about what are their main abilities. Each of us has unique and specific skills. You can be very good at internet marketing, but not at coding your site design. You can be a fantastic writer, but not so skilled at taking care of your hosting problems. I think you need to find first your main abilities, and nurture them, so to be able to get paid for what you are good at. You can always learn the basics of those “technical stuff” you are not so expert about (as I did), or hire someone else, paying him to do that for you. I remember when I switched from a shared plan to a dedicated server was because since two months already I was experiencing too many issues, due to using too many resources, resulting in multiple suspensions of my account and several hours of my sites offline. I’m also aware when you reach a certain level of daily visits, you need to make the upgrade (may be to VPS first, and then to a dedicated server). Finally, you want to first see a justification in terms of your monthly income, before to pay that big fee for a dedicated server. I took a few minutes to think about it, but I don’t remember any horror story with anyone online. I found out that if you are honest and polite, you get back the same (most of the times). I think learning a proper English. If I read some of my posts on my very first blog, I can laugh at myself, for my poor language skills. At the same time, I’m aware that today I can still improve a lot my English. I know that with a daily practice, I can reach someday the level I desire. In another 5 years, I can’t wait to look back and smile again at my language skills. In that moment, I’ll know to be improved again. This one: 11 Powerful Blogging Tips To Help You Become A Successful Blogger. Published on Aha-Now blog, it has received 150 comments and over 1,500 social signals. In this post, I shared a big part of my knowledge and experience of these 5 years of online business. I built many connections and friendships online, during my journey. I think one of my best qualities is persistence. I’ve seen so many good bloggers quitting, not due to their (great) writing skills, but for not receiving enough monetary compensation, in exchange to their efforts online. There are plenty of good websites out there, which last posts are dated months, or even years back. It’s too harsh to say, but I’m sure 99% of the times, the reason behind this is the blogger looking again for a 9-5 job in order to pay the bills! I’m also very pragmatic, which is good since I actually complete a lot of work daily. On the other side, being not so talkative, I realize is a cons when writing online. I believe that knowing the right tools to use in the daily work influences a big part of your success. Blog Management – WordPress as CMS, of course. Over 60 million people are using it. Then HostGator for hosting and Genesis Framework as theme. Plugins: I mention the most important ones: All In One SEO Pack, CommentLuv Premium, JM Twitter Cards, MaxBlogPress Ninja Affiliate, Monarch Plugin, Wordfence Security, WP Super Cache. Email Solutions: I recommend GetResponse for managing a mailing list. 99% email deliverability and user-friendly dashboard. I particularly like the tools to build a professional-looking newsletter design with ease. Internet Marketing: I use ViralContentBuzz and JustRetweet to automate the promotion of my posts. I also love blogging communities, like Inbound, GrowthHackers, BlogEngage, BizSugar and even my new project Klinkk (I created it a couple of years ago). I use these social sharing networks not just for marketing my content, but also to build awesome connections with new bloggers. I would like to suggest MyBlogU too, which is a fantastic platform to build epic content with the help of its community and to promote yourself, as authority, participating to relevant interviews. Keyword Tool: since when I started using Long-Tail PRO, I discovered many profitable keywords, to use for building niche sites (to be monetized with Adsense or Amazon affiliate program), or to get more traffic to my main site (here’s the 3300 words guide I’ve written about this tool). Enough to pay all my bills, and get something more each month. It may sound too cruel, but a blog which is not making money, will soon be left to the oblivion. Blogging is a trend in continuous growth. Every year, there is a change of people, someone who becomes professional and some others leaving the blogosphere. I can’t mention any name (I don’t want to offend anyone, saying he’s a newbie). Work hard and expect to keep doing the same for many other months (or years), before reaching a steady income online. Be sure to begin blogging, while still having a full time job, so to always have the money to pay your bills and other needs. Be Real, Be Honest, Be Yourself! 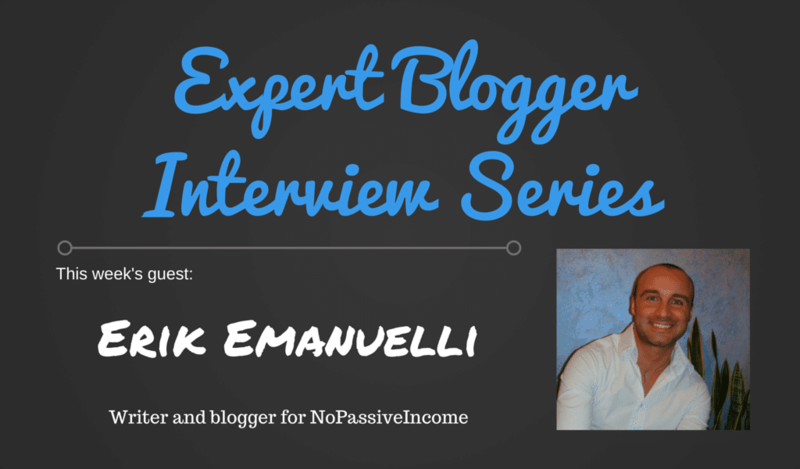 To read Erik’s work, I highly suggest that you drop by NoPassiveIncome and read his awesome posts! Content marketer during the day. Heavy sleeper at night. Dreams of non-existent brass rings. Writer by trade. Pro wrestling fan by choice (It's still real to me, damnit!). Family man all the time. Hire me to write your content!